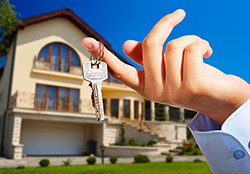 Peabody Residential works with their property management clients to purchase and sell homes. Peabody Residential agents provide the usual and customary services to market properties and facilitate transactions including listing properties in the MLS, showing properties, open houses, attending closings, negotiating contracts, facilitating inspections, qualifying buyers, coordinating with title companies, etc. ; but these standard services are just the tip of the iceberg. We go a step further with the additional resources we bring to the table by drawing on the strengths of all of the Peabody Residential team. When you work with Peabody Residential you are not contracting with an individual real estate agent; you are contracting with an integrated real estate company and receive the benefit of all of the resources from each of the business divisions. If you are not a current client and would like to speak with us in detail about your real estate purchase or sale goal, please complete the Contact Us form and one of our staff will follow up with you shortly. *We maintain a Referral Relationship with our Preferred Realtors/Agents who recommend us to their clients and work with them on the sale of your property.